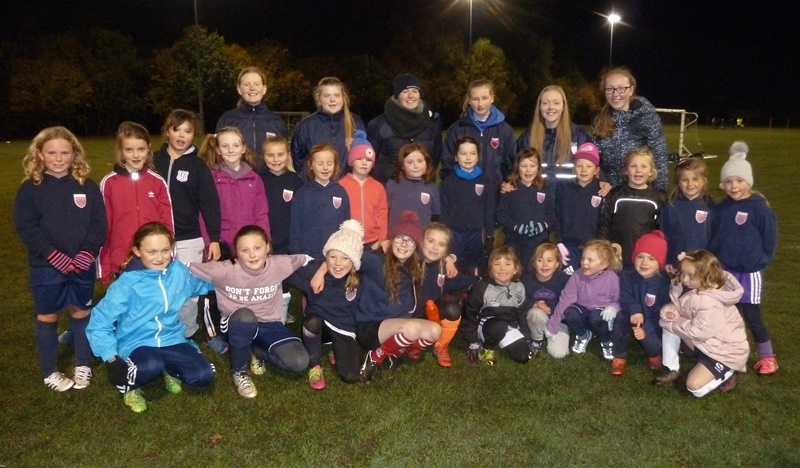 The under 9’s section at Forfar Farmington runs on a Tuesday night where girls aged 5-9 come along to develop the basic skills of football with the main element of the sessions being to have fun. There are currently between 30 and 40 girls within the under 9’s and the training is split into 3 age groups: under 6’s, under 7’s and under 9’s, with two coaches per group. The coaches are all young players from within the club and are led by Scottish Women’s Premier League player Leah White. During the sessions the girls participate in a fun warm up, before continuing on to do a session on a theme of the coach’s choice. We aim to develop the girl’s basic skills such as passing, dribbling and shooting and always finish with a game allowing the girls to put their skills into practice. The oldest group within the U9’s play in festivals once a month to give the girls the opportunity to play against other girls and begin to play as part of a team to prepare for moving on to U11’s.